Another great event from the DSAG just wrapped up. 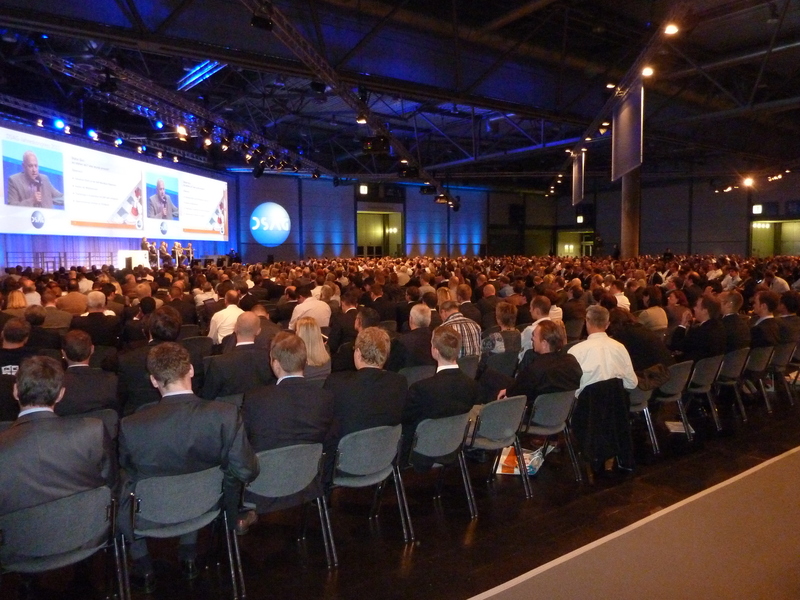 The German speaking SAP User Group’s annual meeting in Leipzig, Germany from October 11-13 drew a crowd of 3,921 visitors with 171 exhibition partners. 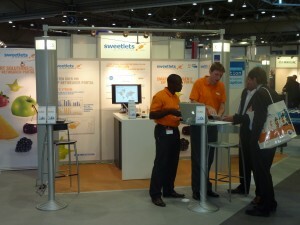 Sweetlets was on hand with both a booth and of course, our SAP Portal experts. The DSAG Jahreskongress 2011 exhibition was big, colorful and creative and as always – there was plenty of excellent food. Many of the topics covered were the same hot topics discussed at the September SAP TechEd in Las Vegas – the future of SAP, HANA, mobile, and of course the new 7.30 NetWeaver Portal. 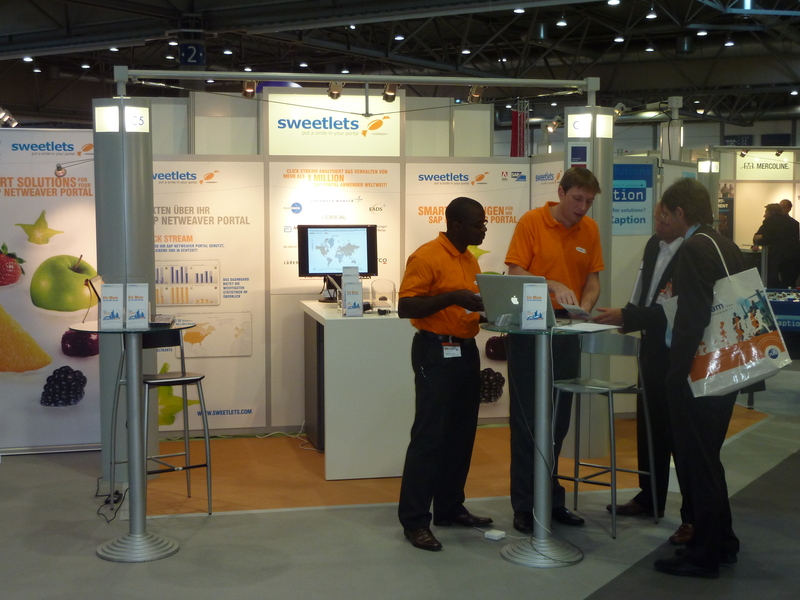 On the Sweetlets end, we saw more and more interest in out-of-the-box solutions, especially with time and budget restraints on the rise. Companies are looking for quick-win methods to increase traffic and portal usability (i.e. easier and more powerful SSO and intuitive team calendars) and more efficient ways to extract data (i.e. from BW). 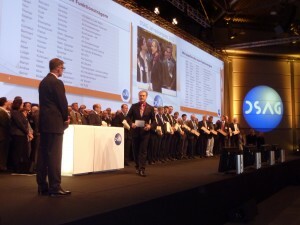 More information and downloads of presentations can be found on the official DSAG Jahreskongress 2011 website (complete slides may require DSAG membership to download). The German-speaking SAP User Group: Deutschsprachige SAP-Anwendergruppe e.V. 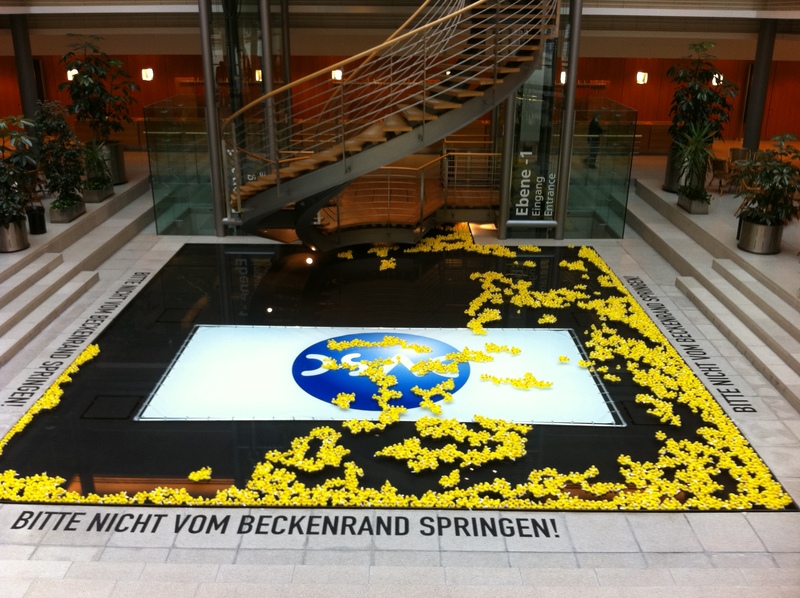 (DSAG) in Walldorf is the independent lobby for users in Germany, Austria and Switzerland. Founded in 1997 as a registered association, DSAG counts today more than 2,400 member companies and has established itself as the largest SAP user group worldwide. 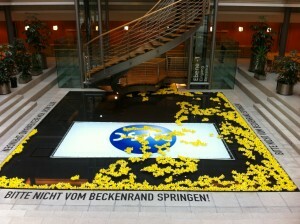 The German SAP User Group’s annual meeting (DSAG Jahreskongress) is here. This year’s event runs this Tuesday, October 11th – 13th in Leipzig, Germany. Come visit us at booth #C05 – Sweetlets will be doing live presentations of our SAP Portal solutions for you to see and play with. Visit us at our booth and and talk fact-to-face with one of our SAP Portal experts. Let’s exchange thoughts on latest portal developments and of course, the 7.30 Portal (as we were on the 7.30 beta program). We would also like to get your experience with the SAP Portal, your road-map, and any current issues you may be facing. The SAPPHIRE NOW and ASUG Annual conference is fast approaching. The Orange County Convention Center in Orlando, Florida will be the host for this 4 day event (May 15-18, 2011). Yes, the latest version of Pretty Poll (2.2.26) now opens the doors and allows anonymous users to be involved in a poll. Come join us at the annual ASUG and SAPPHIRE NOW conference for an exclusive peek inside Serco Group PLC’s portal. Newer, sleeker, faster and with more bells and whistles you could possibly handle. No, not the new Porsche 911 at the car show; this describes the latest version of our Click Stream SAP Portal analytical tool – Click Stream 2.3.